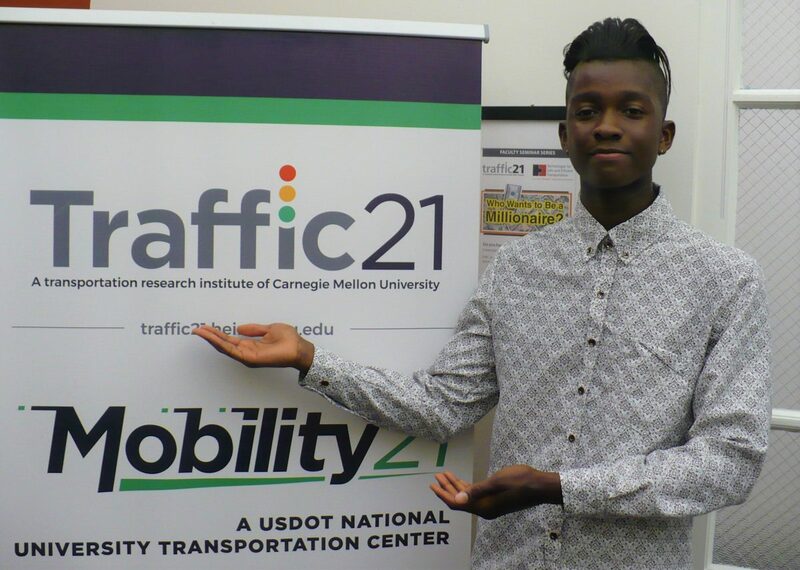 Traffic21 welcomes and is pleased to sponsor Hameed Abdul as part of this year’s CMU Robotics Institute Summer Scholars (RISS) program. Hameed is an undergraduate computer science student at the University of Southern Mississippi with an expected graduation date of December 2019. During his time at RISS, he hopes to further refine his ability to do research and communicate with his peers and non-researchers alike. He wants to fully immerse himself in the Robotics Institute environment and learn as much as possible because he feels the collaboration and work being done there is truly fascinating. His research interests include: Computer Vision Applications for Agriculture, Transportation and Resource Management (Pollution, Waste, etc.). During his time at RISS he will be working with Traffic21 researcher Dr. Christoph Mertz on Detecting and Predicting the degradation of City Infrastructure. After graduation, Hameed wishes to pursue his Master’s in South Korea and conduct research on ways that Computer Vision and other forms of artificial intelligence can benefit densely populated societies.